IF Bangladesh is to become a country in which fundamental human rights are respected and the law is applied equally to the poor and the powerful, the existing brat culture has to be overhauled and an achievable national human rights action plan for a stipulated ahead of period is needed which provides a practical and constructive commitments to the rights set out in the Universal Declaration of Human Rights. Besides, the United Nations convention on human rights held in Vienna in 1993 called on member nations to promote a culture that respects human rights and it appealed for national plans be formed and implemented effectively to protect and promote such rights. The National Human Rights Action Plan (NHRAP) will define the Bangladesh government's goals in promoting and protecting human rights, and the specific measures it is taking to this end being formulated through a participatory process shall be involved discussions and consultations at the district, regional, and national levels. The representatives of governmental organizations, non-governmental organizations, human rights organizations, civil societies, labor organizations and social organizations legal practitioners, media people, other experts and professionals and general people can contribute in the formulation steps, unlike all party participation in the process the donors money and the job shall be carried out by the newly formed Human Rights Commission of Bangladesh government will be meaningless. The action plan will clearly recognizes about government has specific responsibilities for the promotion and protection of human rights, responsibilities extends beyond the State to regional and local government to the business and community sectors, to voluntary groups and organizations. Indeed, each of us has responsibility to respect and protect the rights of others. This is crucial in the case of children, and of those adults who are dependent on others for their care and survival. 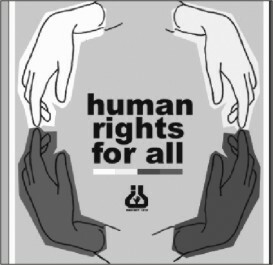 For people and planet concern, Human rights are not limited to a single subject, topic, sector, or body. In general, it cuts across all subjects, a variety of sectors, and many agencies. State will take proactive and effective measures to offset the negative impacts of international financial crisis, and ensure the economic, social and cultural rights of all members of society including right to work, right to living conditions, guarantee of human rights in the reconstruction of areas hit by the devastating earthquake, floods, droughts, landslides, river erosions, cyclone, and other climate change relevant impacts. Bangladesh national plan for human rights will take further measures to protect the rights and interests of ethnic minorities, women, children, elderly people and the disabled. Bangladesh is a unified country composed of 40 ethnic; all ethnic groups are equal, and the state protects the lawful rights and interests of ethnic minorities by promoting economic development in areas inhabited by ethnic minorities and raising the standard of living of the ethnic minorities. Substantial number of people with various kinds of disabilities lives in Bangladesh, accounting for 6% percent of the total population. The state shall be made great efforts to develop undertakings relating to the disabled and to beef up the building of the social security and service systems for them, providing guarantees for the legitimate rights and interests of the disabled; the government will strengthen employment training for the disabled and the construction of an employment service network, standardize and develop business that offer jobs to a considerable number of disabled people at one go. It will promote compulsory hiring of disabled people in accordance with their proportion to the population at large. The protective employment system for the disabled will be improved, which includes tax deduction and exemption, and the special production and marketing of certain products by the disabled. The dissemination of knowledge of the law among the general public, the action plan will do actively rely on the present systems of compulsory education, secondary education, higher education and vocational education, training organizations in state agencies, as well as the media, including radio, television, news-papers, magazines and the Internet, to carry out education in human rights in various forms in a planned way, popularizing and spreading knowledge of the law and human rights. By making good use of the courses of Ideological and moral standards, State will foster students' awareness of the obligations and rights of citizens, tutoring them in the ideas of democracy, rule of law, freedom, equality, fairness and justice, as well as a healthy concept about interpersonal relations, collectivism, nation and society. Bangladesh will continue to fulfill its obligations to the international human rights conventions to which it has acceded, and initiate and actively participate in exchanges and cooperation in the field of international human rights. In many countries such action plan has been undertaken by the government even in China; Bangladesh cannot ignore. Also getting an opportunity from climate change negotiation and environmental justice on polluters pay - an action plan for human rights is a must. Social entrepreneur and development worker.